Diastasis recti, or abdominal separation, is something I talk about a lot with moms and moms-to-be. Oftentimes, those conversations start because someone is terrified they have it or have been told they have it and there isn’t anything they can do. There’s a lot of information floating around about diastasis, but when it comes to dealing with it in your own body it can be scary and overwhelming. So, I’m going to tell you a little more about what diastasis recti is exactly, how it may impact you, and how you can test for it yourself. Diastasis recti, or diastasis rectus abdominis, is a separation of the two rectus muscles, think 6-pack muscles, that can occur during pregnancy by the thinning and stretching of the linea alba connective tissue that runs down the midline of the belly. That was a lot of fancy words, right? Here’s the real deal. You know those lounge pants that you love so much? Those cheap drug store leggings that you exhale into every night when you get home, then one day you notice they aren’t really holding everything in like they used to. Months of bending over and stretching of that fabric has made them a little saggy, but let’s be honest- you’ll still wear them. Diastasis recti is very much like that pair of beloved leggings. As the baby and the uterus grow during pregnancy, they put pressure on the linea alba and it starts to stretch and thin. And while that is happening, the muscles spread apart. It is a very natural and common occurrence in pregnancy because your body has to make room for the wee one to grow. It’s actually pretty rad. A belly without diastasis and what a belly with diastasis may look like in pregnancy or postpartum. Now when that wee one exits the womb, however that may happen, those muscles don’t just zip right back to where they were before. Healing takes time. As the pressure on the linea alba decreases, it is able to *somewhat* go back to what is was before, in a lot of bodies. Avoiding things that put extra pressure on the abdominal wall, such as crunches and planks, and maintaining good alignment most of the time are important while healing an abdominal separation. In a lot of bodies diastasis heals really well, but sometimes it doesn’t. How do I know if my diastasis isn’t healing well? None of these are surefire indications that you have a diastasis so don’t stress! These signs just mean you need more information, perhaps from someone else or by testing yourself. ***Note: a poochy tummy is TOTALLY normal in the postpartum period, just because your tummy is bigger post-baby does not automatically mean you have a diastasis. All bellies are different. More belly, a slight overhang, more fat, wider hips, stretch marks, and looser skin are all normal body changes and OK.
How do I test myself for diastasis recti? The diastasis recti self-assessment is super easy to do and only takes a few minutes. 1. Lie on your back with your knees bent and feet flat on the floor with your head and shoulders supported. 2. Run your fingers along the midline of your belly to get a sense of what the tension feels like- can you press your fingers way down into your belly or do you feel resistance. Note this tension. 3. Take 3 fingers and place them widthwise right above your belly button. 4. Gently and slowly lift your head off of the ground. You’re looking for the two sides of the six-pack muscles to hug your fingers. You may have to take fingers away or add fingers or test a few times to feel this. Note: this is NOT a crunch, this is a gentle head lift. You may have to lift a little higher to feel the muscles, but never into a full crunch. 5. From your belly button, measure 3 fingerwidths above and below the belly button with the same technique as above. Here’s the part that really matters! This isn’t the only information we need to know. We need to see how the core reacts if you try to generate tension through the muscles. Enter the core and floor connection breath. This breathing technique, via Jessie Mundell, is something I focus on a lot with my mommas in Strong Like a Mom. Not only does this help with healing the belly, it also gives you a little feedback into how well your core canister is working. I have a lot to talk about in regards to that, but I’ll save that for another day. Use the core and floor connection breath below and retest, noting any changes in tension/separation of the belly muscles. Diastasis recti gets a bad rep, but it is a totally normal and interesting part of pregnancy and postpartum. The first step to healing well is being aware! For more on core, floor, exercise, mom life, and doulaing, check out Madison’s Mommas on Facebook or Instagram. Also check out my blog over on Alabama Baby & Child Magazine. 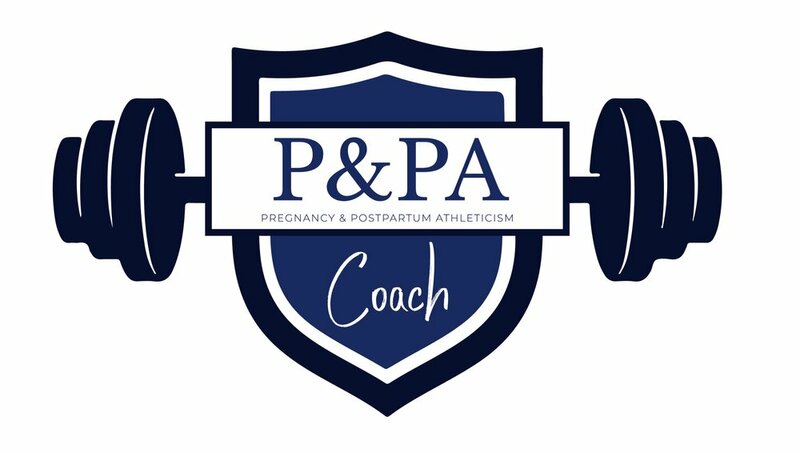 To learn more about Strong Like a Mom, strength training and online coaching for mom life, check out this link.